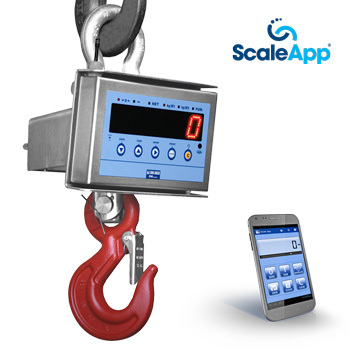 ScaleApp allows you to connect with the weighing system, via Bluetooth or WiFi, giving a real-time reading of the weight and performing all of the functions required to use the system (zero, tare, management, saving and sharing weighs). 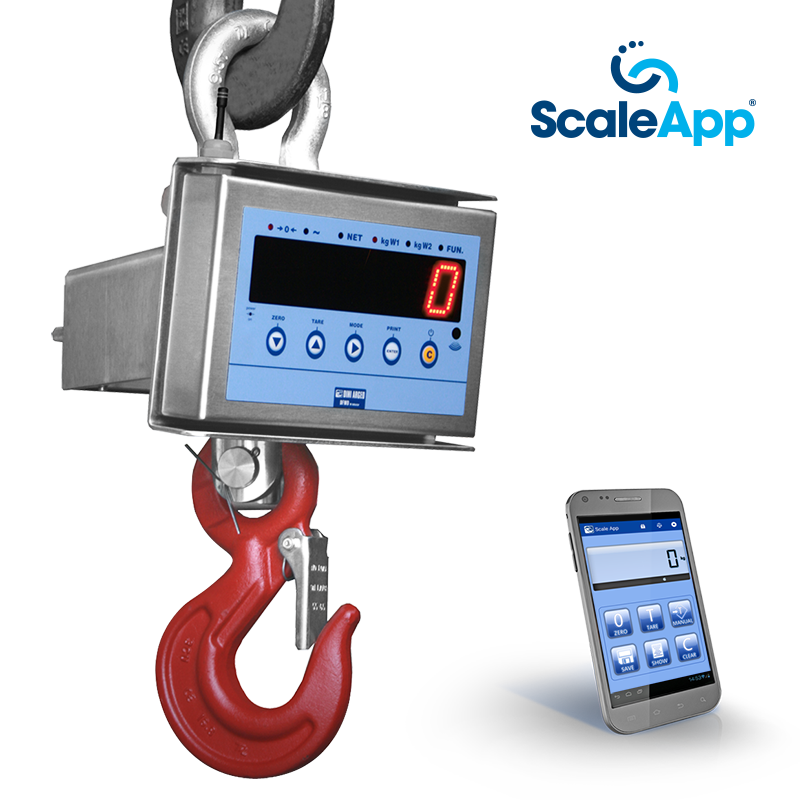 Remote weighing operations, without touching the scale, for use in harsh industrial environments or unreachable weighing systems (dynamometers, wall indicators, forks, etc.). 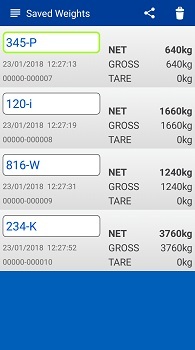 Net, gross and tare weight reading. Weight zeroing, semi-automatic tare, manual tare and tare database (up to 6). 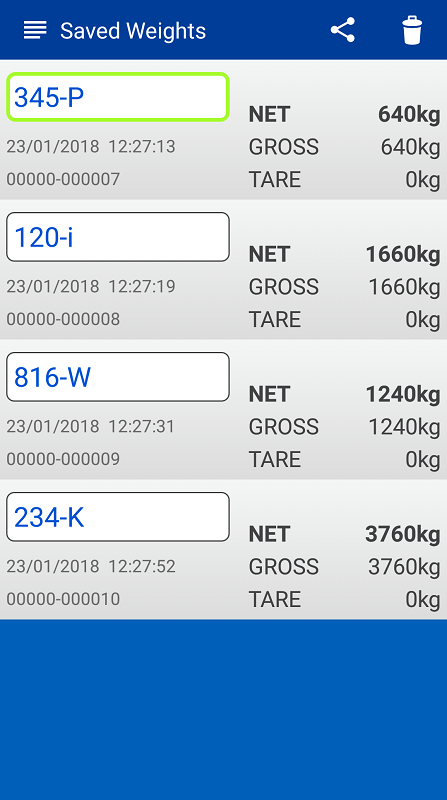 Entering texts/identification codes for each weigh. 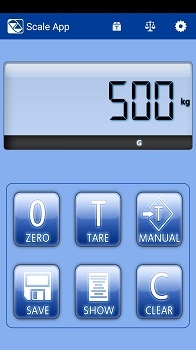 Saving weighs and on-line sharing in the form of editable text. 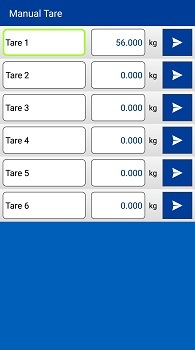 Monitoring the weighing system, with the possibility of connecting to a different system at a time. 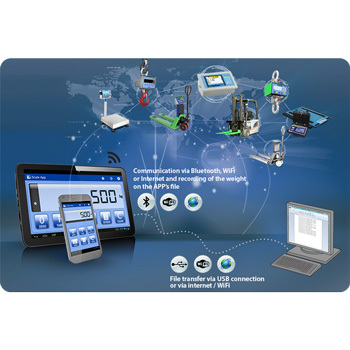 Communication with the scale through INTERNET via VPN connection to the company network, and to the scale connected to the network via WiFi module. Minimum Android version supported: “Jelly Bean”. 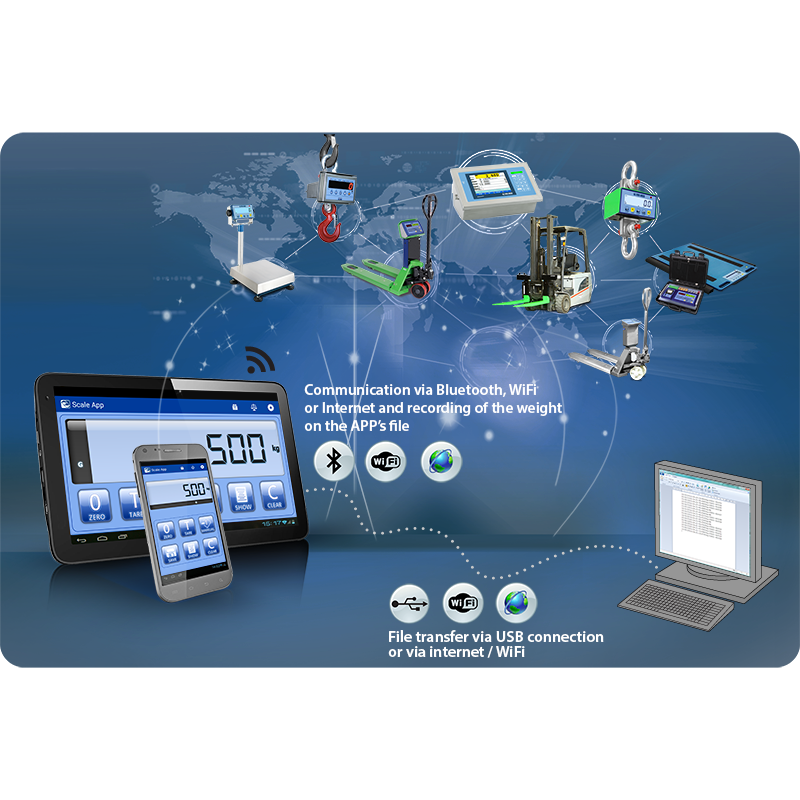 WIFI or Bluetooth connection for communication with the scale.